Concoct your own superhero story with this fun set of comic book paper templates! Star in your own comic book adventure with these fun and easy to use digital paper templates! You will receive 6 template designs that come in both PNG and layered PSD formats. Clip papers, add custom styles or a color overlay to customize! Some include editable text. Create your own comic book layouts, cards and projects with this fun set of comic strip digital scrapbooking papers! 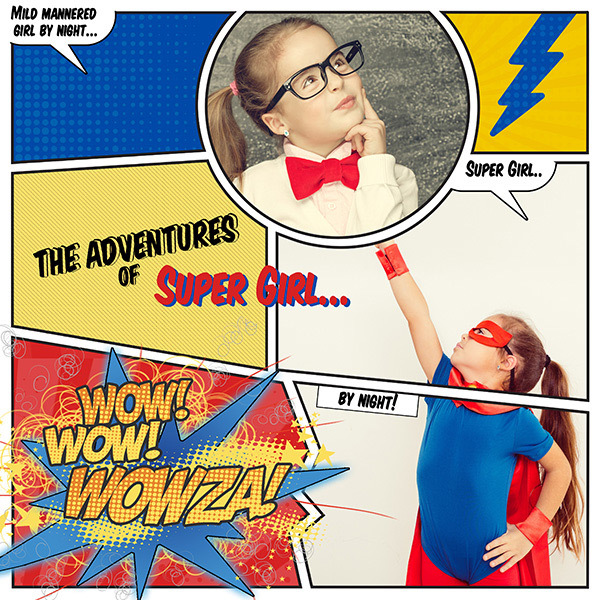 Create your own comic strip with these fun comic book themed digital papers! Create a comic book layout or a comic book mini album with these customizable digital paper templates! 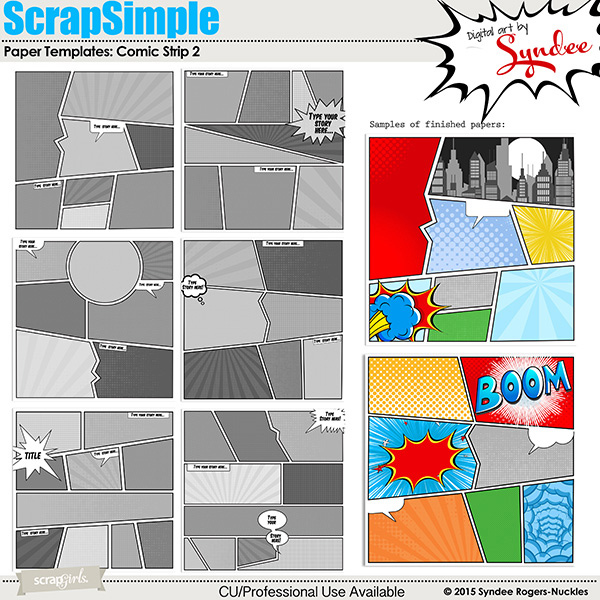 Create your own comic books, or comic themed pages with this fun to use set of digital paper templates! 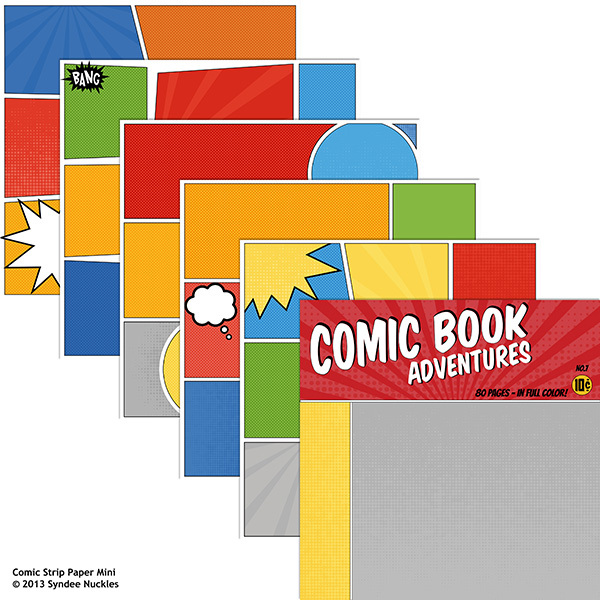 Create your own comic themed page, card or craft project with this fun set of templates! Add comic book patterns to your comic themed pages, shapes, alphas, frames and just about anything! Become the superhero in your own comic book! Create beautiful layouts featuring a die-cut and lace edged look with these easy to use digital scrapbooking paper templates! Six different templates in PNG format are included.